After being stung by a wasp or bee most individuals will develop a limited localised swelling. A minority of persons will develop excessive local swelling, which may be either “immediate” (developing and peaking within 1-2 hours) or “delayed”. A small percentage of the population develops “systemic” or “generalized” reactions that extend beyond areas adjacent the sting. Most of these are immediate IgE-mediated reactions which may result in life threatening anaphylaxis. 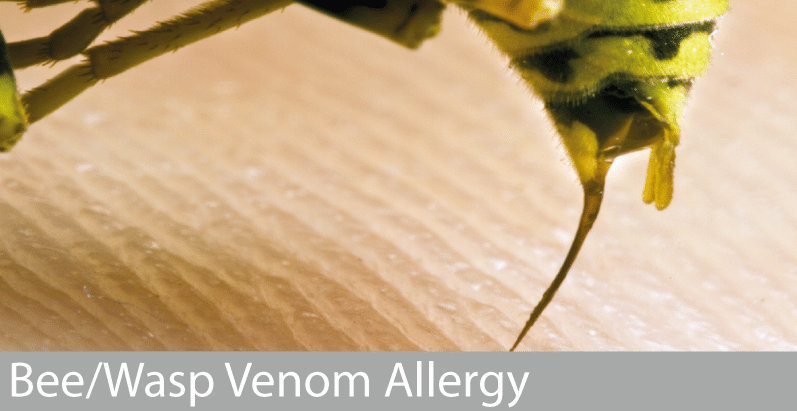 An accurate diagnosis is essential because it has long-term consequences, including provision of an adrenaline auto-injector device, long-term venom immunotherapy and, in some cases, a change in occupation.